If you are looking for a new hosting company or willing to change your current one, these 5 Bluehost alternatives for web hosting might be a good option. There are basically two situations in which you might want to consider a Bluehost alternative. 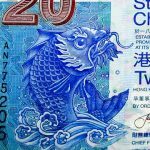 If you already a customer from Bluehost, and for some reason you are not satisfied with them, you should consider an alternative. The second situation is if you are starting a new website and you need to choose a hosting company. As you have probably noticed, Bluehost is one of the biggest companies in this sector. 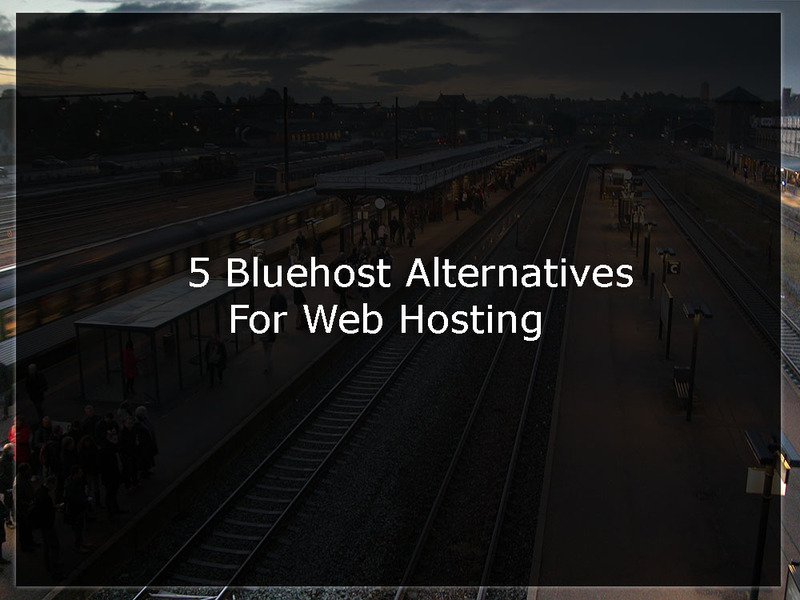 But it is not the only one, and here we will compare it with another 5 hosting companies that can be a great Bluehost alternative. What could be Bluehost improve on? One of the things that may lead you to consider Bluehost alternatives is some points in which Bluehost can improve. Despite being one of the biggest companies, there are some points in which Bluehost could improve its service. Years ago, Bluehost was one of the few big hosting companies that had a global reach. The first hosting plan I have ever purchased was with Bluehost and at that time, there were very few companies competing directly to it. That was especially true for customers outside of the United States. Bluehost support is actually good overall, and most issues are solved once they are approached. The problem is that, in my experience, the support queue is usually long. In many occasions I have waited many minutes until I was able to get in touch with a customer support agent. Even if Bluehost speed is overall satisfactory, it is not the fastest hosting company currently available. While this may not seem very important, as its speed is relatively fine, there is certainly room for improvement. How is the Uptime on Bluehost? I have personally not remembered many occasions in which I have experience significant downtime with Bluehost. However, around the internet there are some reports of users experiencing eventual downtime with Bluehost. I have not noticed that Bluehost has more or less downtime than the other major hosting companies, but if this is your case, you may want to consider some Bluehost alternatives. However, in my opinion, the Bluehost uptime was just on the average among good web hosting companies. Now that we have accessed some reasons why you should consider Bluehost alternatives, let’s check the best candidates for it also indicating their advantages and disadvantages compared to HostGator. A2 Hosting is among the most popular web hosting companies and is also a good candidate for a great Bluehost alternative. The company started its operations in 2001 under the name of Iniquinet. As their operations grew, the brand name was changed to A2 hosting in 2003. Now A2 has a great reputation in most website hosting reviews website, which can be checked in this review by Hosting Facts. Just like every other hosting company, it offers shared, dedicated and cloud hosting plans. From my personal experience, A2 has been extremely reliable on their services. Their dashboard is excellent and the cpanel is very easily accessible from the hosting dashboard. One of the strongest points of A2 hosting in my opinion is the fact that their support is pretty fast. The queues on the chat are most fast, and you always get to talk to a human before you lose your patience. Here we have a small table comparing the plus plan from Bluehost to the swift plan from A2 hosting. Both are great plans for bloggers and affiiate marketers, with great flexibility and few limitations. As we can see, both plans are quite similar. While A2 advertises some specs as unlimited, in practics they mean the same unmetered. The main advantage of A2 hosting over Bluehost is definitely its speedy and reliable support. When you need it, especially when migrating sites or when you new to the platform, A2 support is fast and skilled. A2 also offers free migration services in most of the cases, while Bluehost charges $149.99 for similar services. From my experience, Bluehost can be slightly faster than A2 hosting, especially for North American services. A2 renewal prices are also quite expensive. SiteGround is one of my favorite hosting companies and its just improving its reputation over the last few years. The company is just slightly younger than Bluehost, being founded in 2004, and has an extremely positive review score among its users. Currently with more than 400 employees, SiteGround has data centers in North America, Europe and Asia. This fact alone makes of SiteGround a good alternative to Bluehost, especially if you want to have the physical server hosting your website outside North America. Here we have a small table comparing the plus plan from Bluehost to the GrowBig plan from SiteGround. As we can see, Bluehost offers more than SiteGround for less money. However, in my opinion the quality of the services at SiteGround are overall higher than at Bluehost. SiteGround has a few important advantages in my opinion in comparison to Bluehost. The first advantage is the fact that SiteGround has more data center locations, which is especially good for geo-targeting. The second advantage of SiteGround over Bluehost is its customer support. SiteGround skilled staff replies extremely fast, and the queues for the live chat are very speedy. Finally, SiteGround is also one of the fastest hosting companies that we have tested so far. You can read more about it in this article featuring the fastest WordPress hosting companies. Even if SiteGround costs sightly more than Bluehost in this shared plan comparison, the overall quality of the service is higher at SiteGround. The main advantage of Bluehost over SiteGround is when it comes to pricing. If you are considering a shared plan, that difference is actually not that significant to impact your decision. However, if you are considering a more powerful plan especially if its a dedicated hosting, Bluehost is way more affordable. Other than that, Bluehost also offers unmetered space, which is certainly more than the 20 GB at SiteGround. However, 20GB for an affiliate blog is more than enough, you can easily write 1000 posts and still not reach this limit. InMotion is another great hosting company that I consider pretty reliable for bloggers and online entrepreneurs. The company has servers in North America and should be definitely be considered as a good Bluehost alternative. Here we have a small table comparing the plus plan from Bluehost to the power power plan (shared) from InMotion. The Power plan by InMotion hosting is considerably cheaper, but has its limitations. However, for a blogger 6 websites might be more than enough to manage. Among the main hosting companies, InMotion has an extremely good reputation. This can be check on their reviews on Trust Pilot. InMotion is also pretty affordable, and has one of the best customer support services on the market. For a slightly higher amount of money, you can get a hosting plan for unlimited domains at Bluehost. A plan with unlimited domains will cost $7.49 per month at InMotion hosting. Namecheap is another good hosting company that you should consider as an alternative to Bluehost. As the name says, the focus of the company is delivering hosting at extremely low rates. I have been running websites on namecheap for some years, and I am pretty surprised by the quality of their services. Here we have a small table comparing the plus plan from Bluehost to the Professional plan from Namecheap. Namecheap is in my opinion, unbeatable when it comes to prices. Even if their professional plan has quite some limitations, its overall a great offer for its price. Price. The main advantage of Namecheap compared to Bluehost is clearly the price. Considering the quality of the services on Namecheap is pretty good, in financial terms, Namecheap is a great choice. Namecheap is also one of the few hosting companies accepting Bitcoin. While I do believe Bitcoin will be more accepted in the future, for now this is a great advantage at Namecheap. Namecheap also offers free site migration. Bluehost has an overall better service than Namecheap, but it also comes to a cost. Most comparable plans on Bluehost have less limitations than those on Namecheap. Bluehost also has more diverse products, with WordPress specific plans for example. Namecheap has unbeatable offers in terms of pricing, but they are quite limited in options. Dreamhost is the last company in our list of 5 Bluehost alternatives. It is one of the most traditional hosting companies, having started its operations in 1996. Dreamhost has just one type of shared hosting, with prices starting as low as $7.95. These are valid for 3 years billing cycle. The plans are quite similar in both Dreamhost and Bluehost, but Bluehost is considerably more affordable. In Dreamhost, you can sign-up for a monthly billing cycle. This is especially good if you want to try a short term project to see if it has a good audience response. Dreamhost has a pretty affordable WordPress hosting plan, at just $16.95 per month. That is cheaper than the similar WordPress plan from Bluehost. Bluehost is considerably cheaper than Dreamhost for shared hosting. Are these Bluehost alternatives better than Bluehost? As we can see, each hosting company has a different range of products. Even if many hosting plans might seem quite similar, I strongly believe that each hosting company is unique. Consider this, it would be very hard to say that one company or the other is better at all overall level. The truth is that every hosting company has its advantages, and so does Bluehost. In other words, it will depend on your requirements. It is important to know that there are great Bluehost alternatives in the market, since the hosting business is one of the most competitive on the internet.